We all enjoy a slice of watermelon during hot, summer days. It’s really refreshing and it keeps our bodies hydrated. So next time, you’re enjoying a slice of watermelon, don’t throw away the seeds because they have many health benefits.In this article we will present to you all the health benefits of watermelon. Watermelon (Citrullus vulgaris) is sweet vegetable that we eat like fruit. It doesn’t have many calories, but has a high glycemic index, so the sugar very quickly reaches in the blood, but for that reason we cannot eat it in large quantities. It is recommended to eat watermelon once a week because it is good for cleansing the body. It is not recommended for diabetics to eat it in large quantities, because of the high glycemic index. Allergic reactions to watermelon are almost unknown. The thing that worries more is poisoning which can be obtained if the watermelon stands for a few days and loses its freshness. Watermelon poisonings happen very often in summer, especially before the end of the season. The purification of the body can be implemented in many ways, but the best is to eat only watermelon for one week with possible addition of ripe melon for breaking the monotony. This nutrition improves the kidney function. Watermelon best cleans kidneys of multi-layers, improves their function and impact directly and indirectly on cleansing and better function of the joints. Purification with watermelon allows release of excess salt of all parts of the body. The watermelon is the best mean in cleansing the intestines and blood vessels from fatty deposits and helps in the normalization of microflora and the establishment of pH balance in the blood. Watermelon seeds are rich in dietary fibers that can improve the work of the digestive tract, they can help you get rid of intestinal parasites and can help you heal inflammations, dropsy and jaundice. 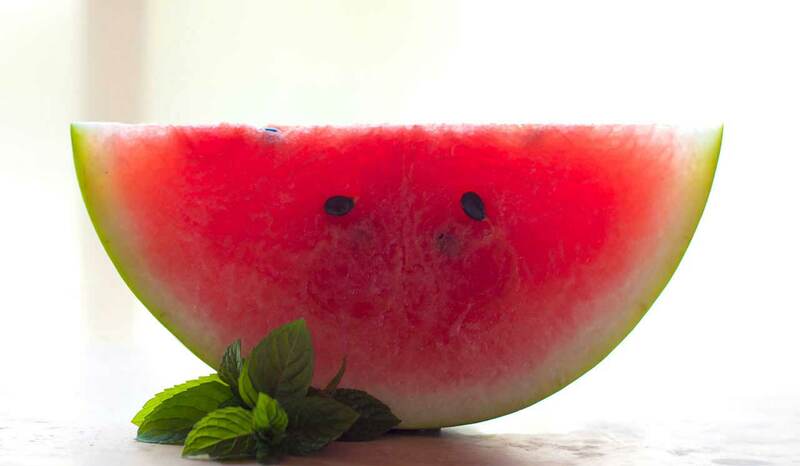 Water melon seed also contain substances that work like antioxidants that can help the expansion of blood vessels. They’re also recommended for strengthening the heart and muscle structure and are especially recommended for men that need libido and potency boost. Watermelon seed tea is great for urinary diseases, removing kidney stones and kidney and bladder cleansing. In a big pot put 2 liters of water and 4 tbsp. crushed watermelon seeds. Boil for 15 minutes. To receive all the health benefits of watermelon seed tea you should drink the tea in a course of 2 days. Take a break on the third day. Repeat this method for a few weeks and you’ll get amazing results. You’ll need around 40 watermelon seeds. You can use either dried or fresh. Crush the seeds and put them in 1l water. Boil for 10 minutes. Let it cool down, put it in the fridge and drink this water every day. Drink at least 1l every day, for a few months until the bacteria disappear. Watermelon seeds can be also used as a tasty snack. Wash the seeds and let them dry on the sun. After they’re dried bake them for 20 minutes. Sprinkle some salt on top and you get a healthy and tasty treat! Or can I use the shelled watermelon seeds, which no longer have the outer black shell…?? ?